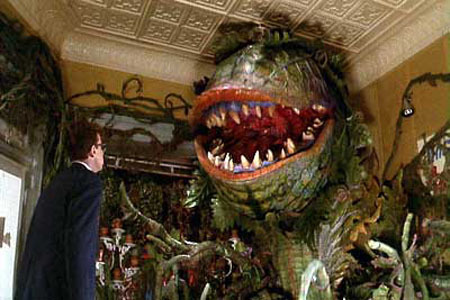 Joseph Gordon-Levitt Rebooting ‘Little Shop of Horrors’!!! Actor, Joseph Gordon-Levitt is setting up a reboot of ‘Litte Shop of Horrors’ for Warner Bros with Levitt starring. Marc Platt will be producing and Roberto Aguirre-Sacasa will be penning the script. As of right now there is no director. Platt was a producer on Broadway’s ‘Wicked’, and the films, ‘Wanted’ and Legally Blonde’. Sacasa wrote the Broadway flop, ”Spider-Man: Turn off the Dark’. The original ‘Little Shop of Horrors was made by Roger Corman in 1960 after someone bet him he couldn’t make a movie in 24 hours. Jack Nicholson can be found in that 1960’s version. Fast forward 26 years later, and we got the musical film by Frank Oz which starred Rick Moranis, Ellen Greene, and Steve Martin. I’m all for this reboot, especially of Levitt is involved. It’s going to be difficult to top the music from the 1986 film, and I sure hope they use puppeteers, rather than CG for the plant, but I think this could be great. CLICK HERE TO SEE HOW BADASS JOSEPH GORDON-LEVITT IS! This entry was posted on Thursday, May 3rd, 2012 at 5:44 pm	and is filed under Film, News. You can follow any responses to this entry through the RSS 2.0 feed. You can skip to the end and leave a response. Pinging is currently not allowed. « Check Out this Trailer for ‘Beasts Of The Southern Wild’!! !